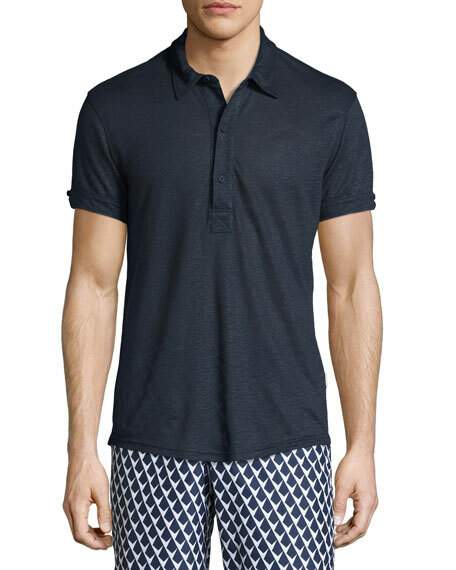 Orlebar Brown "Sebastian" polo shirt. Spread collar; elongated three-button placket. Made in Portugal of Italian material. 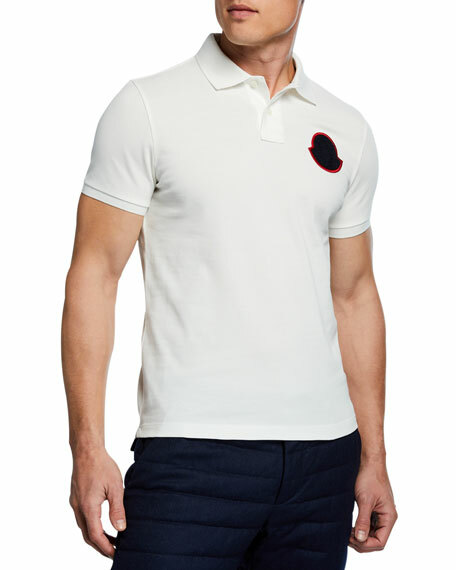 Moncler pique polo shirt with logo patch. Spread collar; striped ends; two button front. Short sleeves; striped cuffs. Relaxed fit. Straight hem. Pullover style. Cotton. Imported. 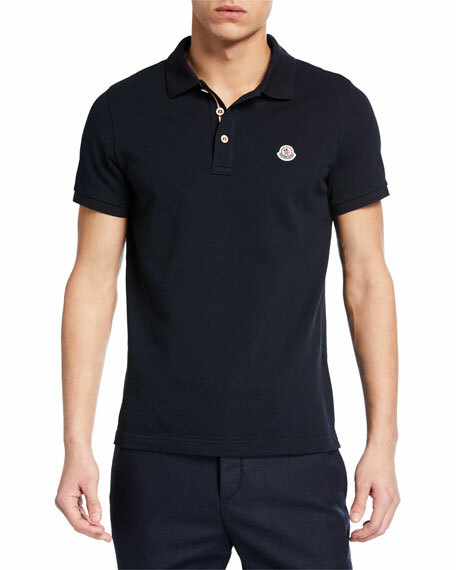 Moncler polo shirt. Approx. 28"L down center back. Spread collar; three-button placket. 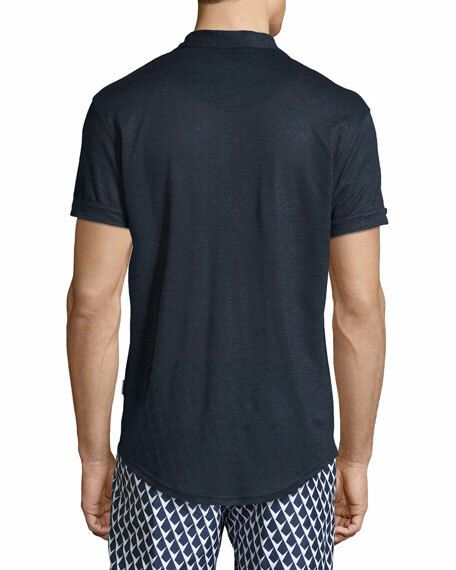 Logo at left chest. Straight hem. Cotton. Machine wash. Imported. 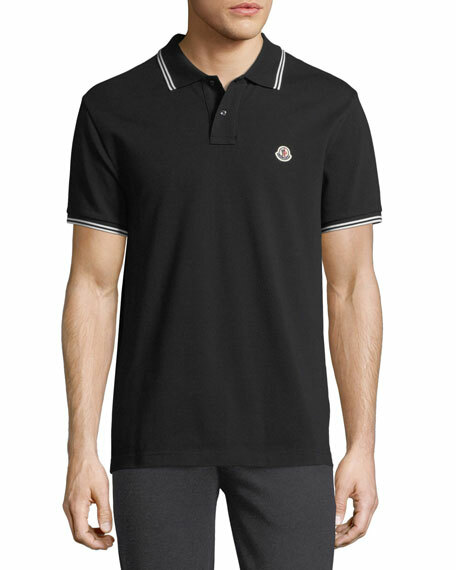 Moncler polo shirt in knit design and logo patch detail. Spread collar; two-button placket. Short sleeves. Pullover style. Cotton. Imported.